Interested in renting one of our two pavilions for an event? The traditional Pavilion #1 is on the crest of the hill overlooking the entire peninsula. Each pavilion accommodates 60 people, at a rental cost of $200 for the 4 hours from either 10AM to 2PM or from 3PM to 7PM. For other or extended time periods, the cost is $300. Note Lake Roland (park) hours are sunrise to sunset and pavilion events are requested to conclude one half hour before park closing. 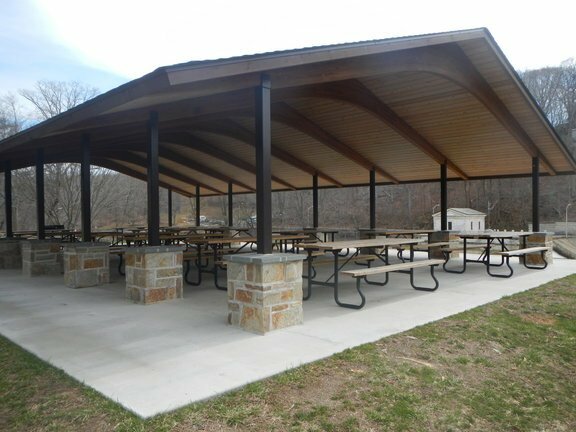 Baltimore County requires a reservation for groups of 12 persons or more using a pavilion. 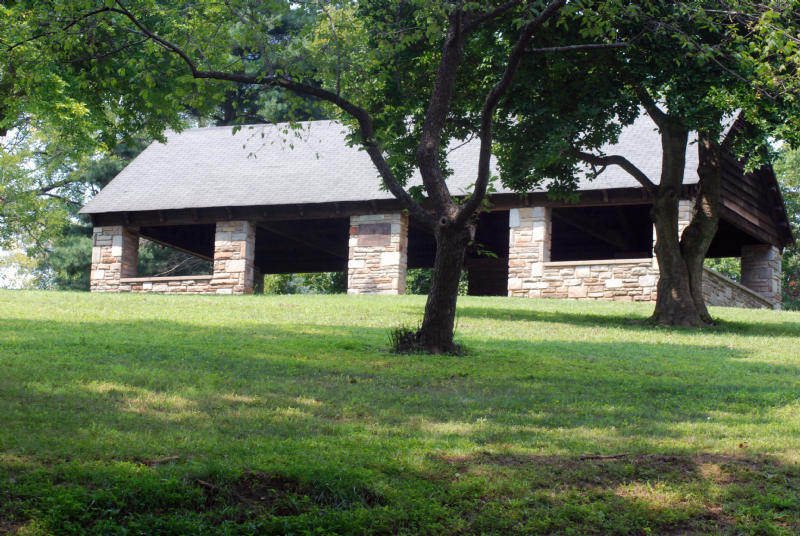 Both pavilions have views of the park and are overlooking Lake Roland. Alcohol and amplified music and audio are not permitted in the park. See the peninsula MAP for location of the pavilions. The modern Pavilion #2 has a commanding view of the dam. The pavilions are located at the top of a steep incline. If renters have any mobility concerns please describe them in the message field below and notify staff with your initial rental request. On the day of the rental, patron and staff personal safety will be taken into consideration when requests are made for assistance to access pavilions. It should be noted that staff members may not always be available for aiding patrons in traveling to and from the pavilion rentals. 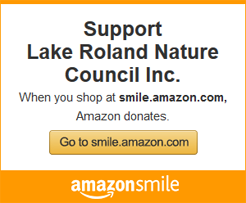 Send inquiries about renting a Lake Roland pavilion for your event.